Need WebManager help? Skip the hold music and use our Live Chat! 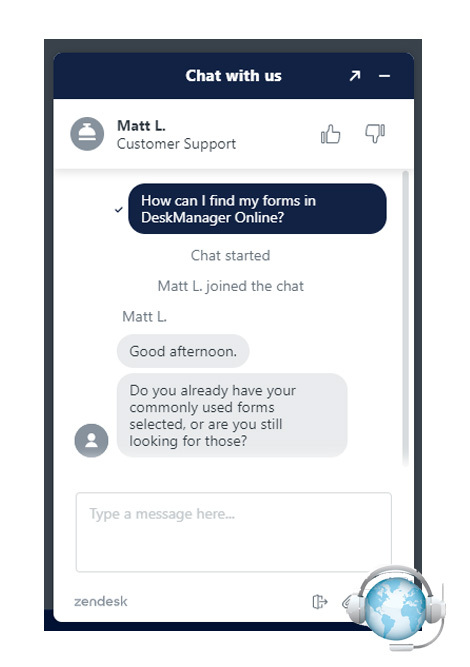 Log in to WebManager and hit the "Chat" button, on the top right of the home screen, to get live product support between 8 a.m.- 5 p.m. PT, Monday through Friday. Our tech support reps will be able to assist you more quickly than over the phone – no hold times or fumbling around for your account information. To ensure you always receive the best customer support, we’ll keep a log of past conversations and how they were resolved in your customer record.